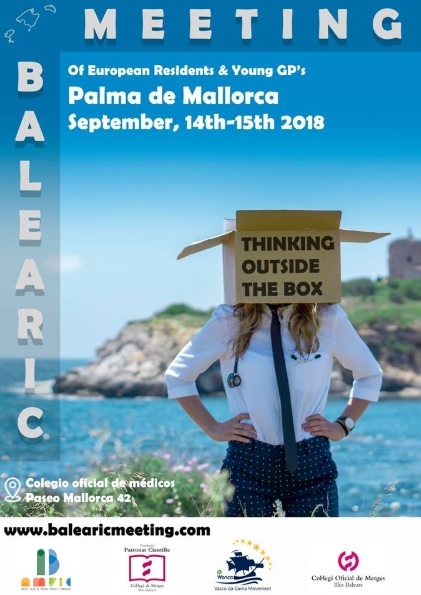 We invite you all to the Balearic Meeting and the Balearic Exchange for September 2018. The Balearic Meeting, held in Palma de Mallorca, will start on Friday 14th and end on Saturday 15th with the famous Balearic Dinner Party! Deadline for inscriptions is July 29th, and you have time until July 22nd to send us your abstract for posters or oral communication! The Conference Exchange is open to all members of Vasco da Gama and will take place in Palma from Monday 10th September to Thursday 13th September. Participants will spend two days observing spanish GP practices before attending the Meeting (that will be free of charges for all exchanges!). Applications are now open and deadline is July 15th 2018. Please spread the word among the colleagues in your country!